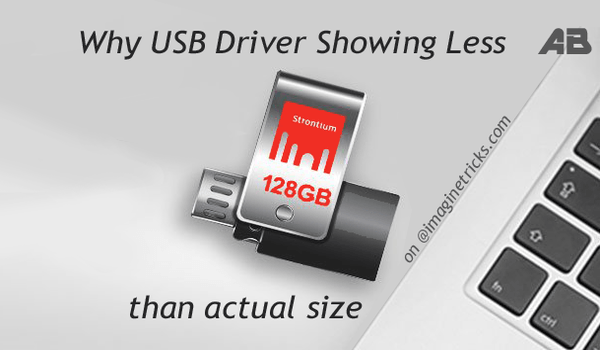 When you purchase any USB (Universal Serial Bus) flash drive or hard drive storage, (It’s a portable device to store videos audios data files from the computer hard disk, you will notice why do show the less storage than the actual capacity storage, Today I will explain in front of you some reason behind what the company thinks when manufacturing the storage devices. 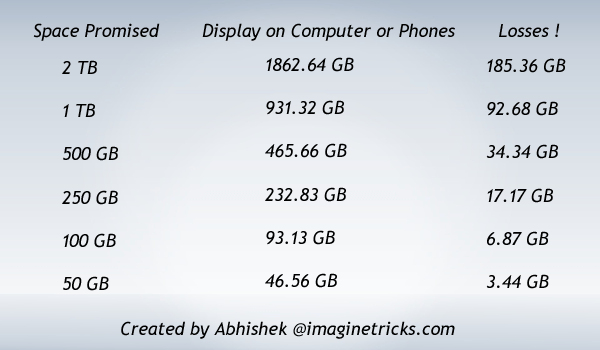 You may always notice If your storage device is in Phone or your computer you will always be storage is lower than actual storage according to the promised For EX- 500GB = 465.66 GB If we told to the shopkeeper or friends why is my storage is not shown to the actual size then he would be told that storage devices are covered the system files and for better performance, but you do not get a satisfactory answer The storages space has fully differed to hard drive manufacturers advertise their storage devices. 500 GB is approximately How to Equal in Harddisk? So, Now Let’s see how manufacture companies to make the hard drive or pen drive and manufacturers consider as it bases 10. You will look at the above of the following 7.45 or less size of the storage, If you have Android Phone the company says that on the phone have 4 RAM but when we look up some of the less sizes not give to the actual, According to the android The company has made to give 1000 to manufacture storage. So, I cast to distribute some, I am sure now you will not confusing another time to purchasing any storages devices. If you would like to look know how to run android apps on google chrome simply visit, if you would like this article, Please share with your friends. Follow us on Twitter and like us on Facebook.